The Blue Devils will look to make it three in a row on Saturday as they travel to FIU to take on the Golden Panthers. The matchup will be televised on ESPNU at 7PM ET and will also be FIU’s Homecoming Game. Duke evened their record at 2-2 last week with a convincing win over Tulane behind impressive performances by QB Sean Renfree and the Blue Devil defense. Renfree finished with 278 passing yards and 1 touchdown, and added 2 rushing touchdowns as well. The Blue Devil defense held the Green Wave without an offensive touchdown for the first three quarters and allowed just 2.5 yards per carry for the game. Despite numerous injuries, including the loss of ACC sacks leader DE Kenny Anunike for the season, Duke dominated the game, controlling the ball for 36:12 while building a 48-13 lead by early in the 4th quarter. 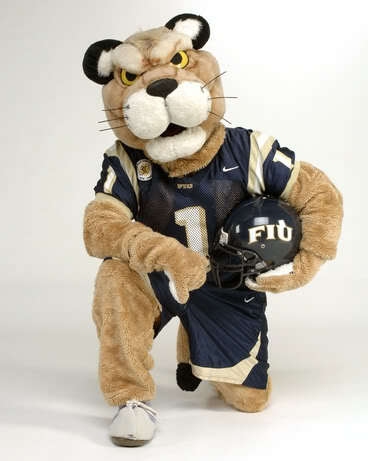 FIU is one of the youngest programs in the FBS, having played its first season in just 2002. The Golden Panthers are coming off their first winning season in 2010, which saw them claim a Sun Belt Conference co-Championship and a Little Ceasar’s Pizza Bowl victory. When the Golden Panthers take the field, all eyes are on Heisman Trophy candidate T.Y. Hilton, the reigning Sun Belt Conference Player of the Year and one of the most exciting players in all of college football. Hilton lines up at wide receiver for the FIU offense, but also handles the punt and kickoff return duties. This season, Hilton helped FIU to a fast 3-0 start to the season, including over 200 yards receiving and 2 touchdowns against Louisville in week 2. A hamstring injury limited Hilton in week 4 against Louisiana-Lafayette, and the Golden Panthers dropped to 3-1 after a 36-31 defeat to their Sun Belt Conference rival. The Blue Devil defense will have a stiff test on Saturday night as they try to slow the speedy Hilton and the Golden Panthers. When you face a talent such as Hilton, the key is to minimize his impact on the game, both offensively and on special teams. The probable return of CB Ross Cockrell should help the Duke defense keep tabs on the speedy Hilton, who is utilized in a variety of roles in the FIU spread offense. With Hilton as his favorite target, redshirt-senior QB Wes Carroll has completed over 61% of his passes and thrown for 3 touchdowns. After injuries to Hilton and Carroll forced FIU to rely heavily on RB Kedrick Rhodes in week 4, expect the Golden Panthers to try and get their passing game back on track against Duke. Paul Asack and Alex King would be wise to try and avoid good return opportunities for the always dangerous Hilton. Relying heavily on the fertile South Florida recruiting grounds, Head Coach Mario Cristobal has built this FIU team around speed, headlined by Hilton, but exemplified up and down the roster. The Golden Panthers are balanced on offense, averaging 198 yards passing and 138 yards rushing per game. Defensively, FIU ranks fifth in the country with 15 sacks per game and has also recorded 7 tackles for loss. On special teams, Hilton averages over 33 yards per kickoff return, good for 4th in the nation. Under David Cutcliffe, Duke has made a deliberate effort to improve their team speed, and it will be put to the test in all phases against a FIU team capable of making explosive plays all over the field. Renfree has played outstanding over the past two weeks, spreading the ball around the field to his deep group of receivers and leading Duke to a top-20 passing offense in the country. The Duke offensive line has allowed 8 sacks so far on the season, but Duke fans have seen Renfree sustain several other hard hits. Against an athletic FIU pass rush, the Blue Devil offensive line will have to provide Renfree enough time to deliver the ball down the field to South Florida natives Conner Vernon and Donovan Varner. If Renfree is able to establish a rhythm with his receivers against a FIU secondary that allowed 363 passing yards to Louisville, the Blue Devils will be in good shape. What a difference a year makes. The Blue Devils have significantly cut down on their turnovers from a year ago and find themselves playing better football as a result. The Duke defense is still struggling to turn opponents over, but have managed to force a few key miscues. With a redshirt-senior QB in Wes Carroll, the Duke defense likely will again have difficulty winning the turnover battle on Saturday. The Duke offensive line will have its hands full as they try to protect Sean Renfree against one of the top 5 pass rushes in the country. FIU’s defensive speed will particularly challenge the Blue Devils with their blitz packages, as they will try to penetrate Duke’s pass protection. With Brian Moore still sidelined, Duke will need another strong effort from redshirt-freshmen Laken Tomlinson and Takoby Cofield. Duke’s success on 3rd down has been a big part of their #7 national ranking in time of possession. The Blue Devils have converted 28/61 3rd down opportunities while holding opponents to just a 38% conversion rate. Conversely, FIU has struggled to sustain drives, picking up just 14/49 3rd downs while allowing opponents to be successful on 35% of their opportunities. Both 3rd and 4th down conversions have been key to their current 2-game winning streak, and they’ll look to continue that success on Saturday. T.Y. 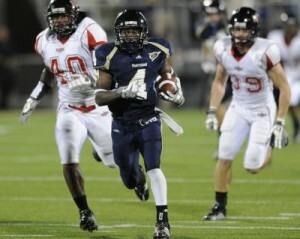 Hilton is explosive, and FIU's speed can burn opponents. If Hilton is allowed to make plays for the Golden Panthers, it will be a long night for Blue Devil fans. Duke, of course, has playmakers of their own. If it is to be a happy homecoming for Conner Vernon and Donovan Varner, Duke will have to continue to get them the ball down the field. Freshman Jamison Crowder showed a glimpse of his explosiveness last week with a punt return touchdown that was later voided by penalty. With Crowder and Hilton in the return game, there will be explosive athletes on both sides of the ball in all phases on Saturday. Coach Cut says, “When you run out of room to throw the football, find a way to run the ball in.” Despite the loss of QB Brandon Connette, RB Desmond Scott, and RB Josh Snead, the Blue Devils have been successful rushing the football in the red zone in their past two contests. In fact, Duke was able to convert all 7 of their red zone chances against Tulane, including 2 rushing scores for Sean Renfree and 2 more for Juwan Thompson. With the possible return of Scott and/or Snead, the Blue Devils will have plenty of weapons to punch it in on the ground. For FIU, Kedrick Rhodes has been the primary threat on the ground, but the always-dangerous Hilton can run it in from anywhere. Welcome back, Will Snyderwine the All-American. 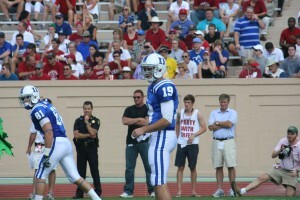 After a disastrous start to the 2011 season, the Blue Devils’ kicker got back on track with a 40-yard FG against Tulane. Though he is still nursing an ankle injury, Duke fans should be able to breathe a small sigh of relief when the Blue Devils line up for a field goal. FIU’s Jack Griffin has been perfect from inside 50 yards so far in 2011. The Blue Devils continue to clean up their act, but are far from playing error-free. Against an energized and veteran FIU team, Duke will have a very small margin for error on Saturday, meaning that penalties could be costly. 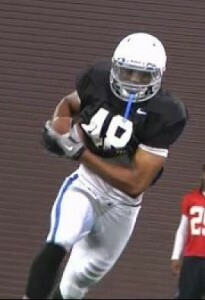 The Blue Devils will have to match the Golden Panthers’ speed with good fundamentals and avoid ill-advised penalties. 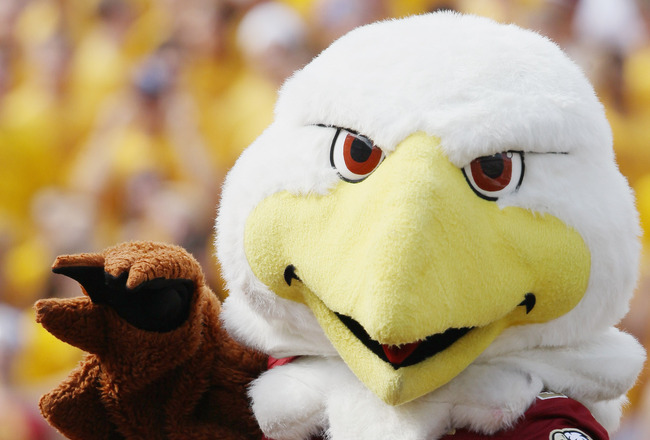 ESPNU was wise to televise this game, as it should be both entertaining and competitive. Both offenses feature explosive talents that are likely to put up points on the board. The Blue Devil defense is playing with renewed confidence after two victories, while the Golden Panthers will look to fight back from a disappointing conference loss to Louisiana-Lafayette. Uncle Mo is on the Duke side, and it should be enough to carry the Blue Devils into their off week at 3-2 behind another strong performance by Sean Renfree. Duke notched their first win of the season on Saturday with a 20-19 victory over the Boston College Eagles to improve to 1-2 on the season. 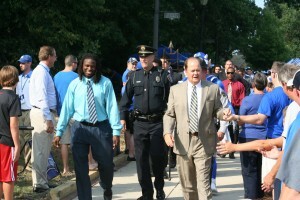 The victory was Coach David Cutcliffe's third conference road victory and 13th overall win at the helm of the Blue Devils. With three games in the books, season statistics start to have meaning by showing trends so here is a look at where Duke is shining and where they are in need of improvement. Even though this article is titled The Good, the Bad and the Ugly, there is no more relevant starting point than the ugly. Duke's performance in the Red Zone has been abysmal! 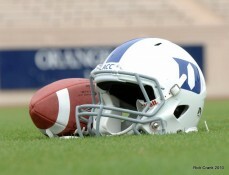 In fact, Duke is ranked 120 out of 120 Football Bowl Subdivision teams having ventured into the Red Zone 10 times with a success rate of 40 percent. Duke has missed three field goals, thrown an interception, turned the ball over on downs, and had time expire to end the 1st half on the six unsuccessful possessions. The need to solve the Red Zone woes cannot be overstated. The Blue Devils must capitalize and come away with points at a much, much higher percentage on future trips into the Red Zone. Equally troubling is Duke's 0-6 performance on Field Goal attempts. 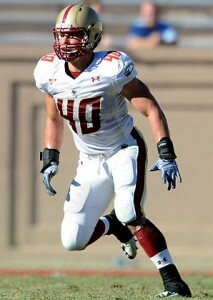 A healthy Will Snyderwine back on the field should solve this problem. However, until Snyderwine is able to resume the kicking duties, Duke could be looking to try to convert fourth down into first down when in field goal range. Defensive End Kenny Anunike leads the ACC in Sacks with four and is third in Tackles for Loss with five. An inability to pressure the quarterback has been a concern for the Blue Devils’ defense so Anunike's performance the past two games is an exciting development and a statistic worth watching closely the next couple of weeks. Staying on the defensive side of the ball, Matt Daniels is fifth in the ACC in Tackles averaging 10.3 per game and Kelby Brown is 17th with 6.7. 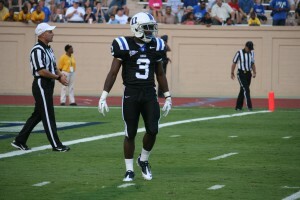 A known strength of the Blue Devils offense is talent and depth at the wide receiver position. All three of Duke's starting wide outs are ranked in the ACC Top 10 in Receptions per Game. Conner Vernon is tied for third with 6.7, Donovan Varner is number six with 6, and Brandon Braxton is number seven with 5.7. Additionally, Vernon is tied for fifth in Receiving Yards per Game averaging 97.3. Combining the Blue Devils’ wide receiver talent with quarterback Sean Renfree, results in Duke being ranked 25 of 120 nationally, and five of 12 in the ACC, in Passing Offense averaging 296.67 yards through the air per game. Renfree set Duke’s single game completions record in the game against Boston College. His 41 completions this past Saturday surpassed Thaddeus Lewis’ previous mark of 40 completions set in 2009 against N.C. State. Another noteworthy performer is true freshman Jamison Crowder who is ranked fourth in the ACC in Kick Returns averaging 21.2 yards per kick. Crowder has displayed good speed and looked good running the ball so fans should keep an eye on him because he has a good chance to break off a couple of long returns before this season is over. Lee Butler is fourth in the ACC in Punt Returns averaging 7.7 yards per return. At 18.3 points per game, Duke is 11th in the ACC in Scoring Offense. With the arsenal of weapons available on offense, this is a statistic which must improve and a statistic everyone associated with the program expects to improve. Simply stated, Duke is too talented on the offensive side of the ball to continue to struggle scoring points. Finally, the Blue Devils have failed to consistently run the ball in their first three games and are currently rank tied for 10th in the ACC at 96.3 yards per game. The struggles can be partially attributed to injuries sustained by Desmond Scott in the first game of the season and Josh Snead during preseason, but Duke needs to show improvement in the running game as the season progresses. Juwan Thompson has been impressive averaging 5.4 yards per carry on the season but he needs help sharing the running responsibilities. The pending return to action of Desmond Scott in the next week or two will certainly provide Thompson the support he requires as Scott has been Duke’s leading rusher the past two seasons. The next two weeks will be critical as Duke faces non-conference foe Tulane (2-1), in Wallace Wade Stadium, followed by a trip to Miami to face the Florida International Golden Panthers (3-0). The expectation is Duke will build off the road victory over Boston College and play inspired football against the last two non-conference opponents this season. The objective is to reach Bye Week with a 3-2 record and then focus upon the tough ACC schedule in October and November. Blue Devil Nation will be all over the action providing Duke Fans complete football coverage including an updated look at the statistics after the trip to play FIU.